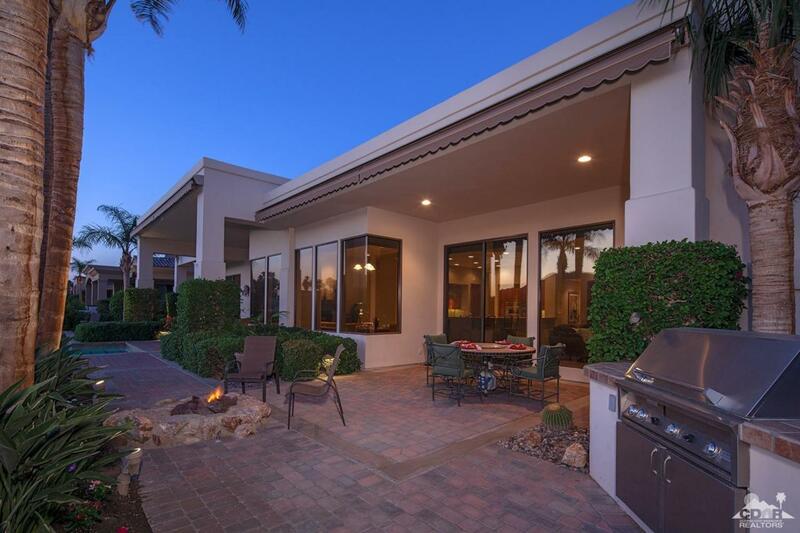 Situated on one of the most incredible west facing mountain and lake views in PGA West on the 10th hole of the private Weiskopf course, this 4834 sq ft estate home in PGA West has it all and has been designed for the ultimate resort style desert living. 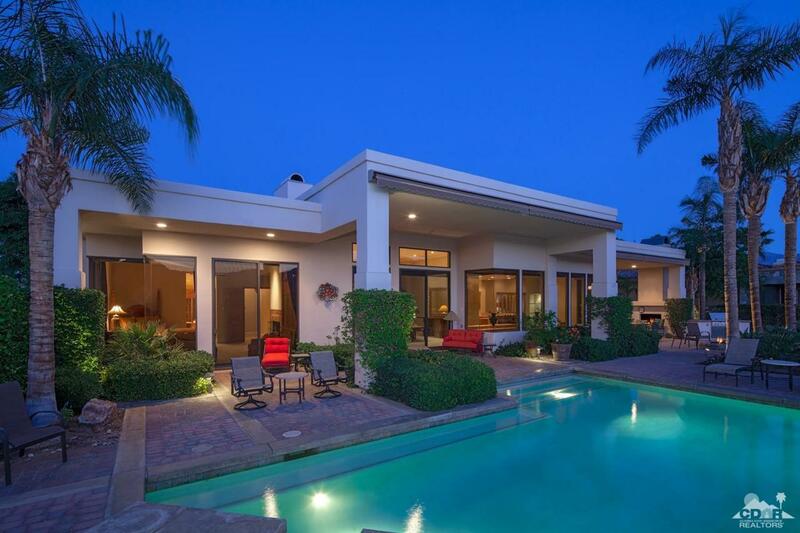 This home features 4 bedrooms, 4.5 baths including a two room casita, private gated entry courtyard with water feature sculpture, dramatic walls of glass throughout the home, soaring ceilings, crown molding, 5 1/2 inch baseboards, built-ins, multiple living and entertaining areas, gourmet island kitchen with stainless Viking appliances, wet bar, palatial master suite and bath and more. 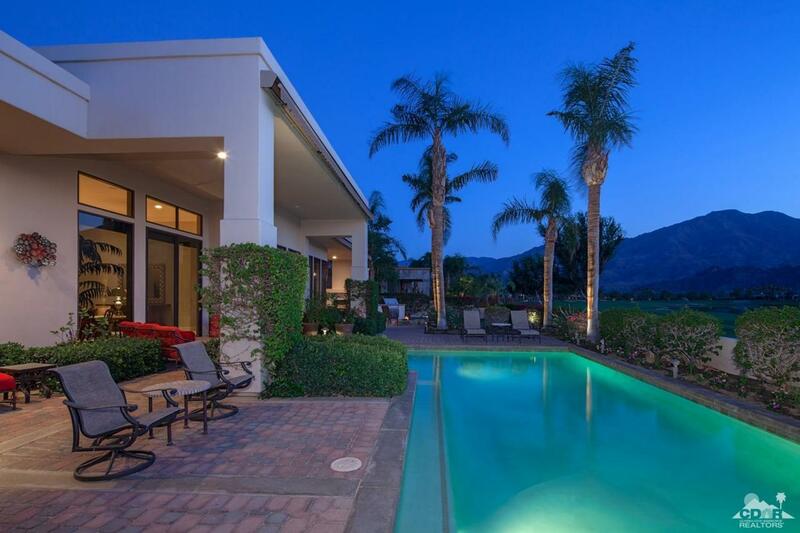 Dramatic backyard with pool and spa, fireplace, built in BBQ, awnings, pavers and firepit and the incredible panoramic mountain backdrop add to the magnificent ambiance of this spectacular home. 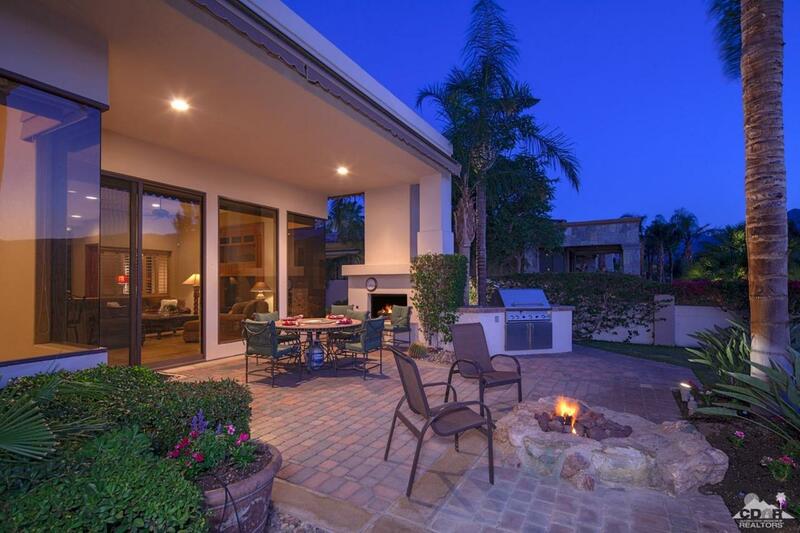 Listing provided courtesy of Sandi Phillips of Hk Lane Real Estate.